have rewarded her with the 2016 Tay Eng Soon Award for ITE Upgrader. Confident and articulate, one will not be able to tell that Prabhmeet Kaur, the 2016 School of Business Management Valedictorian once struggled with poor grades in her in secondary school. 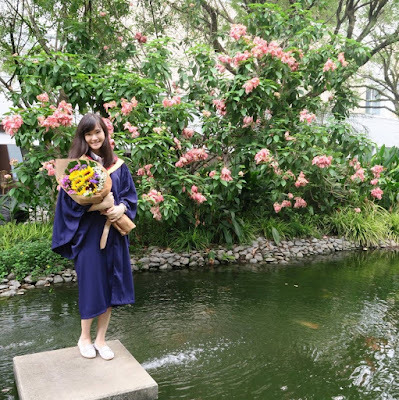 The 24-year-old alumna failed maths twice during her ‘O’ levels and could not apply to a polytechnic. She eventually enrolled in the Institute of Technical Education (ITE) in a biotech course, a "practical" choice because of her interest in science. Skipping out on his GCE O-Levels through the Nanyang Polytechnic Foundation Programme (NYPFP), former Normal (Academic) student Ryan Christian Mission took an unconventional route to his dream course at Nanyang Polytechnic (NYP)! Armed with outstanding GCE N-Level results, former Commonwealth Secondary School student Ryan Christian Mission gained a spot in NYP without even having to sit for his O-Level examinations. This was all thanks to the Polytechnic Foundation Programme (PFP), which enables high-scoring students in the Normal (Academic) stream to attend a year in PFP instead of secondary 5, where they would study relevant modules to their respective choice of course in poly year 1, as well as common modules as in secondary school – Language & Communication (English), Mathematics, Physical Education and more. The GCE ‘N’ and ‘O’ level results will be released soon, and whichever polytechnic you choose, the choice is in YOUR hands – yes, you! 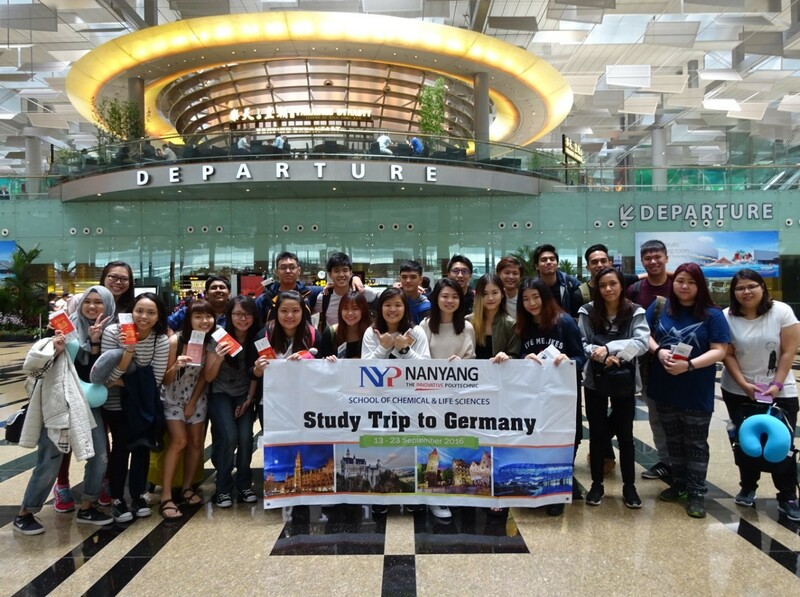 To our incoming freshmen of 2017, this is my take on why you should choose Nanyang Polytechnic. A typical day for Billy Ker starts at 4.00pm when he reports to The New Paper (TNP) newsroom and works on his assignments until the newspaper is sent for printing at around 1.00am. As an infographics journalist, he conceptualises eye-catching graphics to go with the news articles so that readers can understand the story better through the visualisation. When the going gets tough, the tough gets tougher but no matter what, it won’t bring Edsel Li Zhenhao down! Months after graduating from Nanyang Polytechnic (NYP) with a respectable Grade Point Average (GPA) score, Edsel Li can look back at his topsy-turvy days of his life with a smile, and give himself a congratulatory pat. After I dropped to NA (Normal Academic) in Secondary 2, the PFP (Polytechnic Foundation Programme) was at the top of my wishlist. The PFP is a direct route into the poly after the N Levels. It meant that I could skip Secondary 5 and the O levels. Everyone in NA wanted to qualify for PFP and I was no different. By his own admission, Kong Theng Yeong was a bad student in secondary school. Homework were never completed, exams were a non-priority and he barely attended CCA. Needless to say, his grades were far from average and eventually his parents gave up on him. "I do not have special skills; I have the determination to win"
He may be a world silat champion but Sheik Farhan says he doesn’t have “special moves” or extraordinary skills”. Instead, he thinks it is his metal strength, will-power and confidence that has propell seed to him to the top. 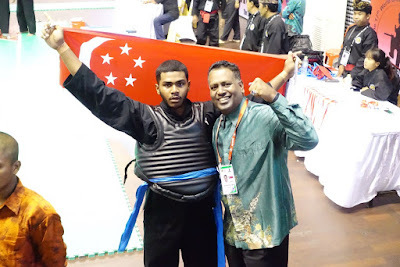 Farhan, who is a year 3 student in digital and precision engineering, recently won a gold medal at World Pencak Silat Championships in Bali. He beat his opponent 5-0, despite having a bad ankle. I didn’t know what I wanted to do after I graduated from polytechnic. But the Career & University Fair (CUF) which took place at NYP last week has made me look forward to my future! If you have seen the brightly coloured animated graphics accompanying each act during the National Day Parade (NDP), you may be surprised that they were not created by professionals, but by third-year students from Nanyang Polytechnic’s Motion Graphics & Broadcast Design (MGBD) diploma course. 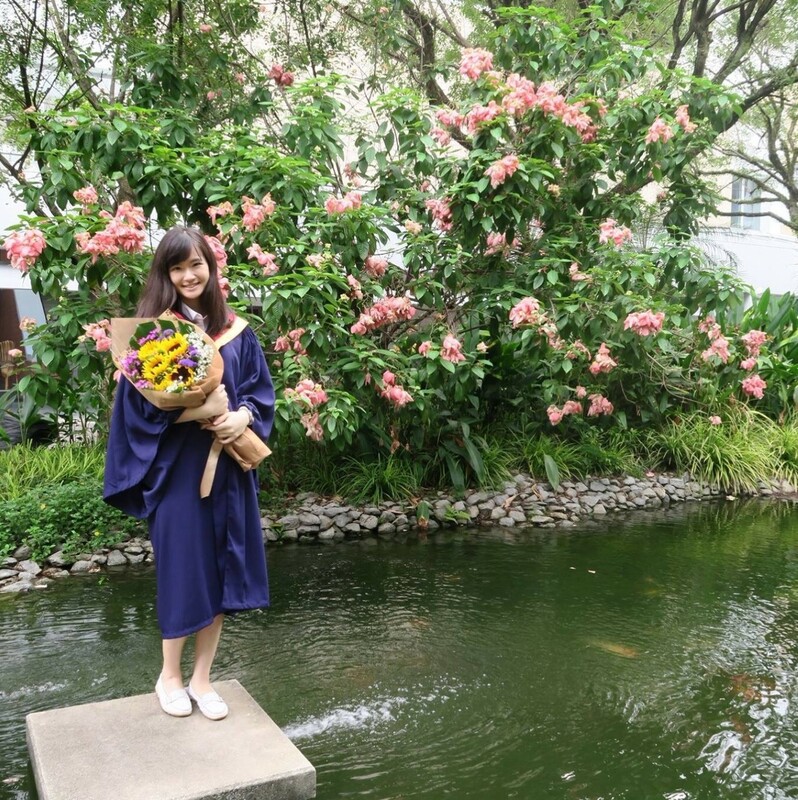 When I found out I was joining NYP after my ‘O’ Levels, I was worried about coping with a new environment. Even before the Freshmen Orientation Camp, I had asked relatives and siblings who had studied in polytechnics about all the ins and outs of polytechnic life. My emotions were like a roller coaster and I wanted to know exactly what to expect before entering NYP. 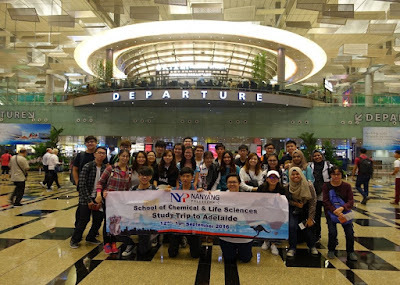 Getting fresh insights into the degree programmes of Australian universities and checking out their wildlife conservation research – these are what I found to be most interesting during my recent study trip in Australia. 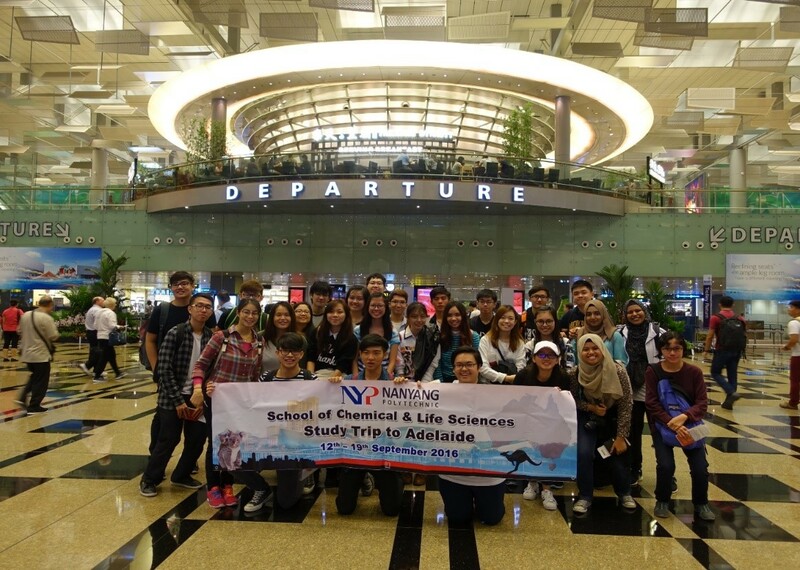 I left for Adelaide, Australia together with 25 students from the School of Chemical & Life Sciences (SCL) on 12 September 2016. Our group comprised students from diplomas in Food Science & Nutrition, Molecular Biotechnology, Pharmaceutical Sciences and Medicinal Chemistry. We were also accompanied by our lecturers, Miss Claudine Loong and Dr Jayden Ang. Twenty-one students from the School of Chemical & Life Sciences had a blast in Germany learning how rockets were launched and even enjoyed some works of art. 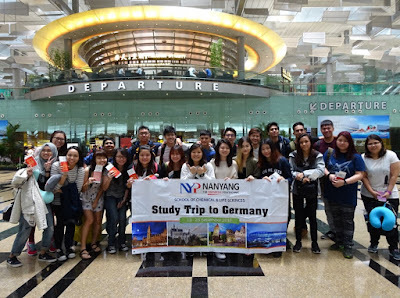 This was all thanks to a 10-day educational trip they took in September 2016. If you are in Year One like me, the first semester was probably quite a surprise for you (I just heard a mixture of sighs and cheers). Many of you should be able to relate to the various challenges faced while working on projects and with new classmates. You may have been stressed out over assignment deadlines and upcoming tests. After evaluating my own experience in the past semester, I came up with the following guidelines for myself for the new semester. Who knows, they might just work for you too. Check them out! I could have been enjoying eating mooncakes at home. Instead, I decided to do a good deed with my fellow NYP volunteers, and I was glad I did just that! 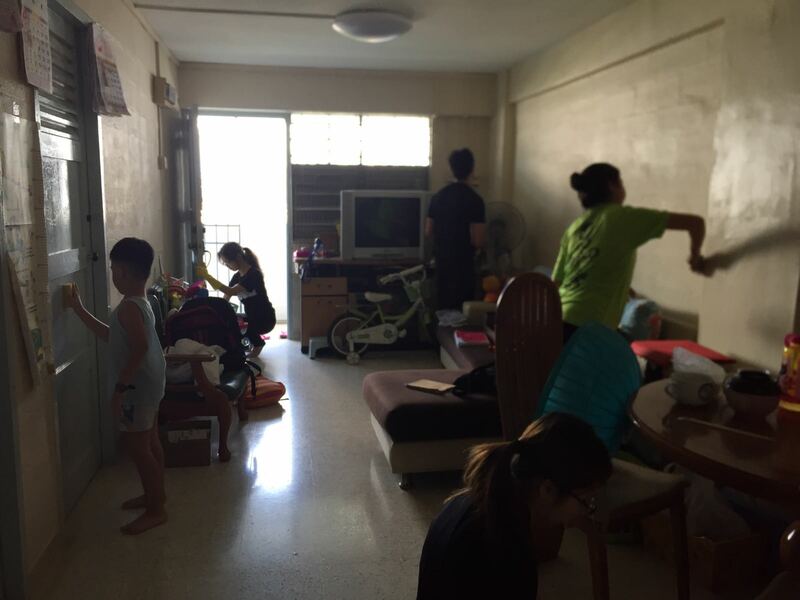 Project Clean-Up, which took place on 15th September, was an event organized by the Home Nursing Foundation (HNF). The objective of the exercise was to help the elderly patients who live independently but are physically unfit, and unable to manage their household chores. Worldskills Singapore, is a nation-wide skills competition for Singaporean youths who excel in a wide range of skills such as CNC milling, mobile robotics and web design. This year, the finals was held from 7 to 9 July 2016 at ITE Central and ITE College West. We saw students from the five polytechnics and ITE participating in the finals. 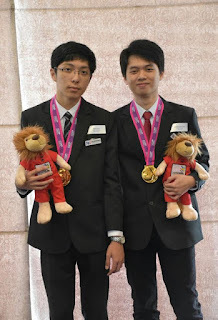 I decided to interview two outstanding students from NYP who won the gold medal in the Mechatronics skill area. The duo, Clarence Lim and Eljer Chua are final year students from the Diploma in Mechatronics Engineering. Their exceptional talent in Mechatronics have not only won them gold medals in Singapore, they were also selected to represent Singapore in the international-level WorldSkills Competition in Abu Dhabi next year! 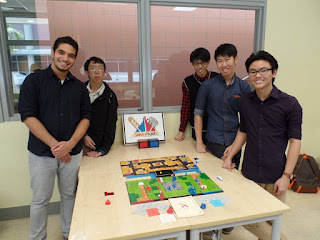 The Mechatronics skill area requires competitors to solve logic problems, assemble a machine according to documentation, programme a machine, interpret technical documentation, and design electrical and pneumatic circuits by hand or with available software. Sounds really complicated doesn’t it? Eljer: Hello, I’m Eljer and I’m 19 this year. I joined WorldSkills because I wanted to learn more about industrial skills like electrical and pneumatics programming which I believe will benefit me in the future. Clarence: Hi, I’m Clarence and I’m 21 this year. Like Eljer, I joined WorldSkills to find out more about Mechatronics and its application in the industry because it will benefit me in the future. I also thought it would be fun to participate in competitions while being able to gain new knowledge and experience. What are the sacrifices you had to make for the competition? Clarence: I had very little sleep time and also sacrificed my holidays to train for the competition. Eljer: I sacrificed my family bonding time and I did not have time to rest properly as we trained till late. Initially, I was jealous of the students who were enjoying their holidays whereas we had to train for WorldSkills. However, it was all worth it. How did you train for Worldskills? Eljer: We train with the other NYP Mechatronics teams and try to improve our accuracy and speed. Clarence: We train like we are in the competition, doing question papers and honing our skillsprogressively. We also try to improve the speed of assembling different components. How are you training for the international round in Abu Dhabi next year? Eljer: We have not started training for that since we had to focus on our exams first. However, we will continue training until we get exposed to the new components and excel in all areas in the international round. How does participating in WorldSkills benefit you? Eljer: It will help me in the future when I start working since my skills will give me more confidence. Studies-wise, I can understand my modules better. Clarence: I agree with Eljer, the experience I gained in Worldskills does help to prepare me for working life. What advice would you give people wanting to compete in Worldskills? Eljer: Listen to lecturers and practice mental toughness. You need to learn how to handle stress well. Clarence: Stay calm, composed, and focussed throughout the competition. Take your training very seriously. We wish Eljer and Clarence all the best for their international round in Abu Dhabi in October next year! Show Youth Care (SYC) is an inaugural event organised by Nanyang Polytechnic (NYP) to promote the spirit of volunteerism. 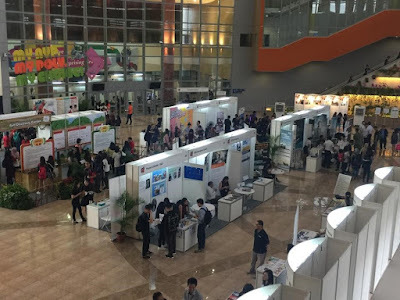 The event was held over two days in July at the Atrium and showcased a total of 18 booths by various community service and environment related CCAs and their partner organisations. SIDM Movie Night is an annual affair for the alumni and current students of NYP’s School of Interactive and Digital Media (SIDM). 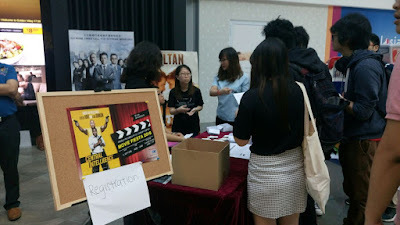 This year’s event was held on 20th May 2016, at Shaw Theatres Lido. A total of 455 alumni from the Class of 2000 to 2016 attended the event! I had the privilege of attending this year’s get-together with my fellow Write Stuff teammate, Jess Poh. 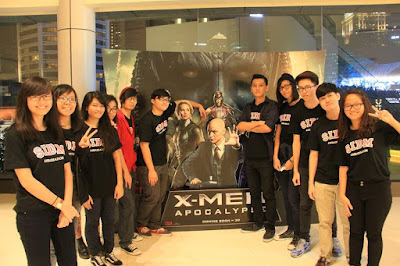 The movie screened was X-men: Apocalypse. This event was a great opportunity for the alumni to catch up with their old friends and lecturers, as well as to do some networking with the current SIDM students. The collection of the movie tickets, with complimentary popcorn and drinks, started at 8.30pm. The atmosphere was very relaxed as students and lecturers alike caught up with each other. There was also a palpable buzz of excitement in the air as the guests looked forward to the action packed movie ahead of them. 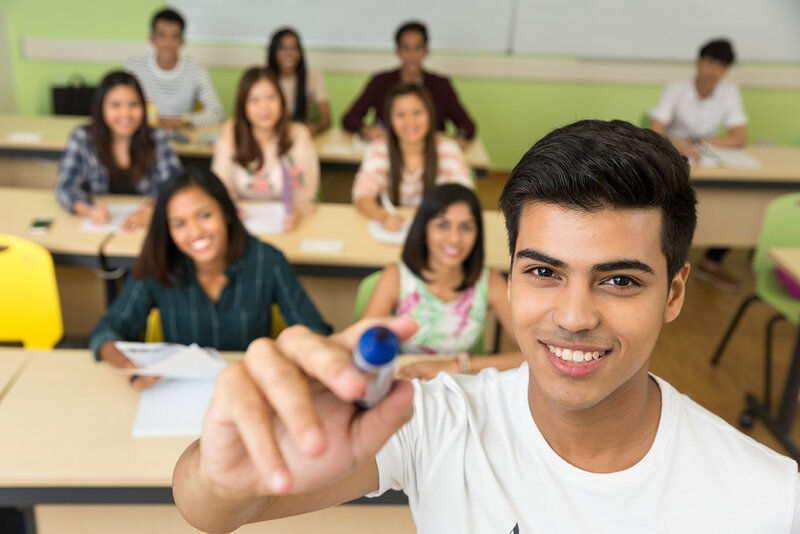 The Early Admissions Exercise* (EAE) allows students to secure their polytechnic education even before sitting for their GCE ‘O’ Level examinations. We speak to Jasmine Ow Shi Min from School of Health Sciences and How Kai-Wen Kevin from School of Information Technology about how they successfully got a head start to their future in Nanyang Polytechnic (NYP), and how it has benefited them. I have known Thng Geng Chen (more commonly known as Greg, Gregory or Fat Greg) for almost two years. I have played a lot of online games with him and I still do. 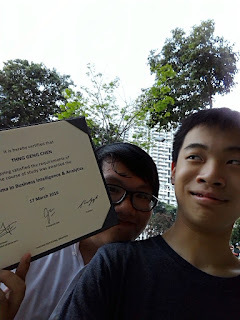 Although he is leaving NYP just as I’m starting my first year here, he has given me a king’s fortune worth of insights on the day to day affairs of an SIT (School of Information Technology) student. Although he is not a star student in terms of his GPA, his stories have given me an unfiltered image of what polytechnic life holds for me. 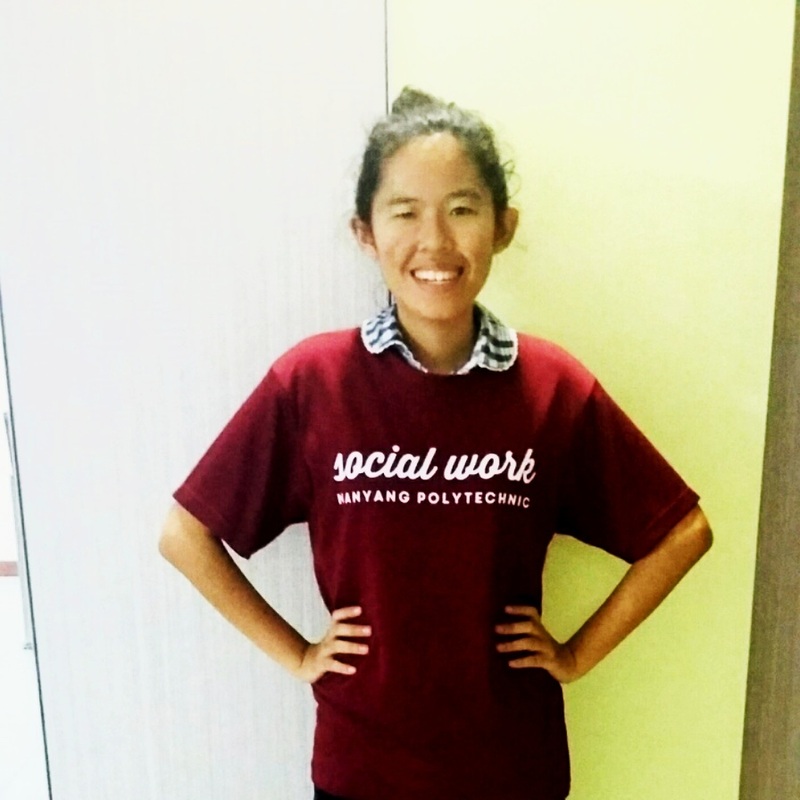 Meet Cassandra Chia, a Year 3 Diploma in Social Sciences (Social Work) student. 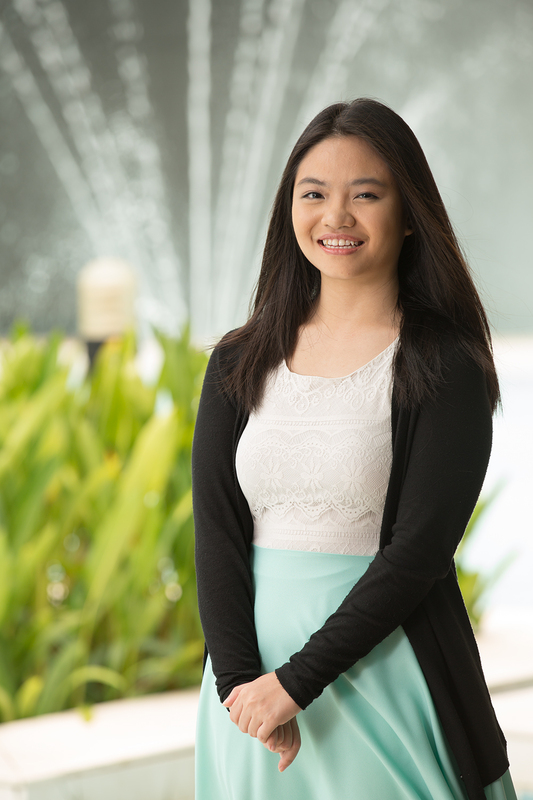 After gaining some basic understanding about the course through NYP’s Open House, Cassandra felt that it suited her personality and decided to enrol in the programme. “I always knew I wanted to work with people as I think human connection is important. I think being able to interact with, develop empathy towards, and put myself in the shoes of diverse individuals is both humbling and meaningful,” she said. What Cassandra did not realise then, was that what she was going to learn from the course would actually impact her in her personal journey of discovering herself. The course provided Cassandra with the knowledge and skills in areas such as basic counselling, group work facilitation, programmes and events management, introduction to sociology and psychology, and taught her how to work with elderly, children, youths, families and people with disabilities/special needs. Thus she learnt to better understand and apply relevant social work skills to handling people from diverse or marginalized backgrounds. As Cassandra was often labelled quirky and “offbeat” by her peers, she quickly discovered she could use that to her advantage. 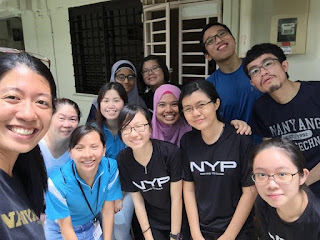 The knowledge she acquired from the course has also helped her to make better sense of her thoughts, and thus led her to setting up a blog called Offbeat Perspectives when she was in her second year in NYP. The site was initially geared towards promoting the local independent art scene since Cassandra enjoyed analyzing themes and structures of interesting or relatable films, and music. But soon it shifted focus toward broader topics like the general election, alternative issues, media landscape, social issues, and sexuality. Cassandra is not embarrassed to openly ask questions, or discuss on socially-taboo topics, and her website has given her an avenue to organize and communicate her observations and ideological beliefs. 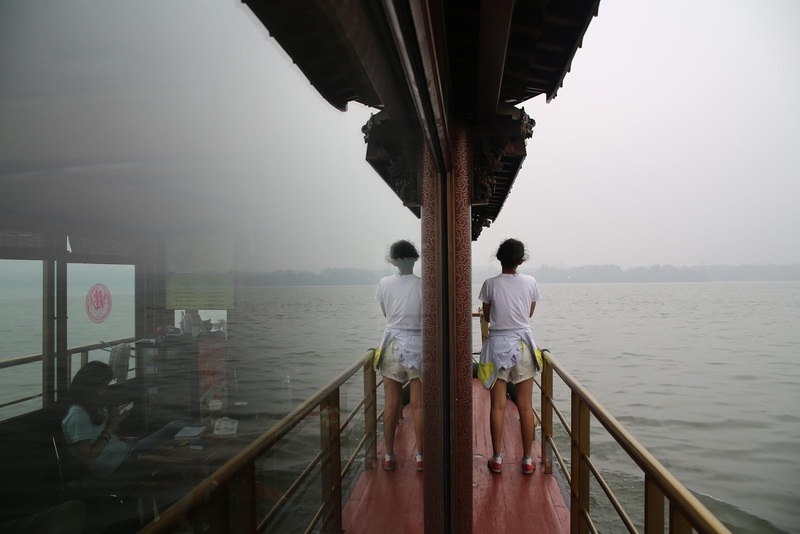 She hopes to get people to think more unconventionally when they read her blog. 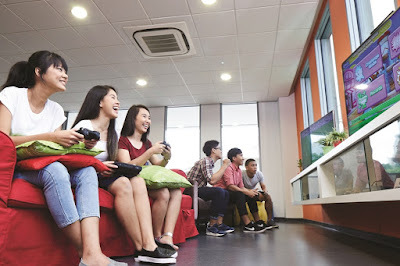 Their site also features interviews with Singaporeans who pursue their unique passions, as well as in-depth interviews with individuals who are socially unaccepted. “When we build up a diverse and balanced insight towards various matters, it will allow the society at large to become more open, understanding and inclusive,” said Cassandra. Like many other students in their final year, Cassandra is going to graduate this year. As we have witnessed in her personal journey, she has acquired the skills to better understand and express herself, which also brought about the creation of her insightful blog. If you are undecided in life, her story reminds us to press on and be open to what our life choices have to offer. We wish Cassandra all the very best in her future! Matthew is 20 and pursuing his Diploma in Social Sciences (Social Work) at NYP. He may have suffered a traumatic brain injury in a judo competition and may have lost his hopes of becoming a judo champion, but he has found new passion and interest in writing. He is happy to share how he feels and thinks, and hopes to encourage his readers with his writing. With a combined effort, we can achieve more this is what Synergy taught me. 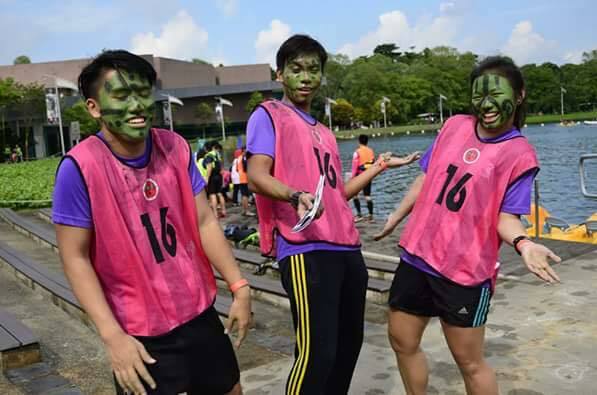 This year, NYP Adventure Club (ADC) held the 9th edition of Synergy – NYP Adventure Race on 16 January 2016. Participating members had to form teams of 3 each with at least a member from the opposite gender, and complete a set of challenges at 10 checkpoints around Singapore. The total distance we had to cover was 25km! 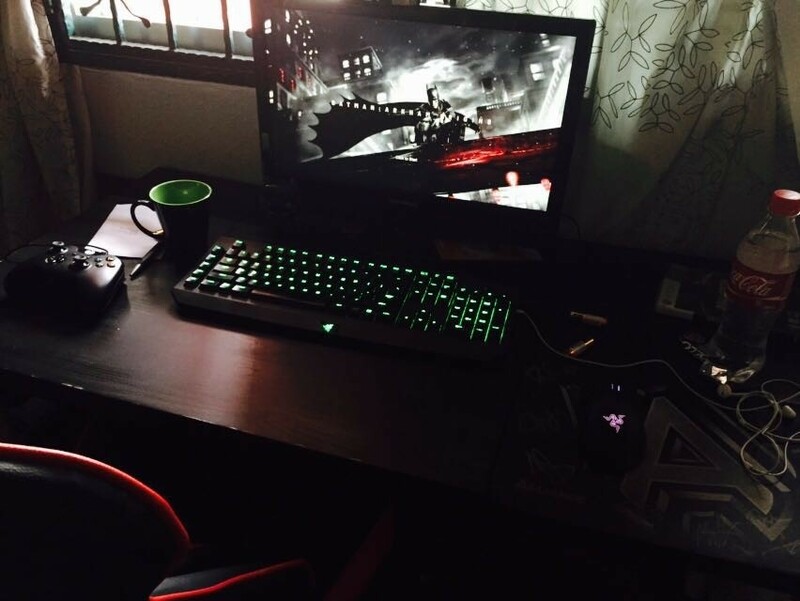 As an avid gamer, Muhammad Azri Zulhilmi Bin Giman aspired to be a game designer. 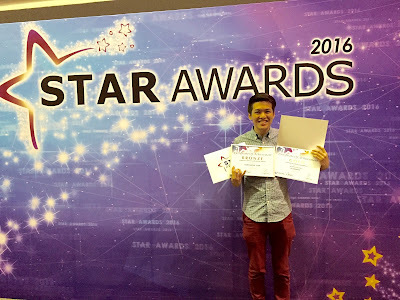 “NYP was the obvious choice for me, it is well-known for its Diploma in Digital Game Art & Design,” comments Azri. Published in the Jan 2016 Issue of Teenage Magazine. Reproduced with Permission.